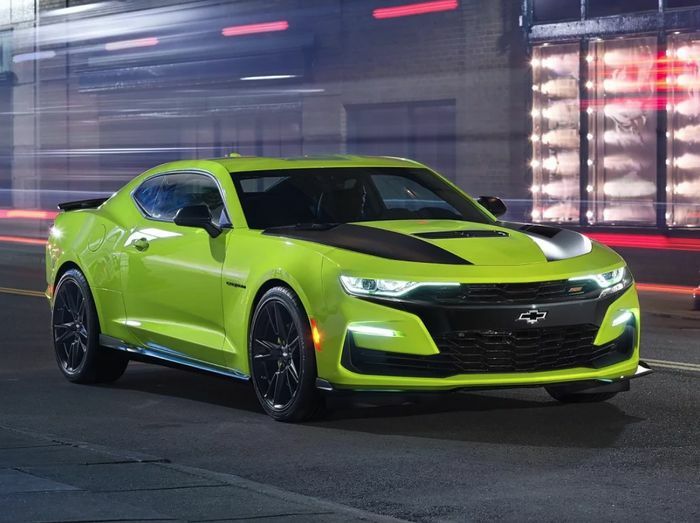 Chevrolet is fast-tracking another Camaro facelift in an attempt to reverse a rapid decline in both sales and forecourt interest. 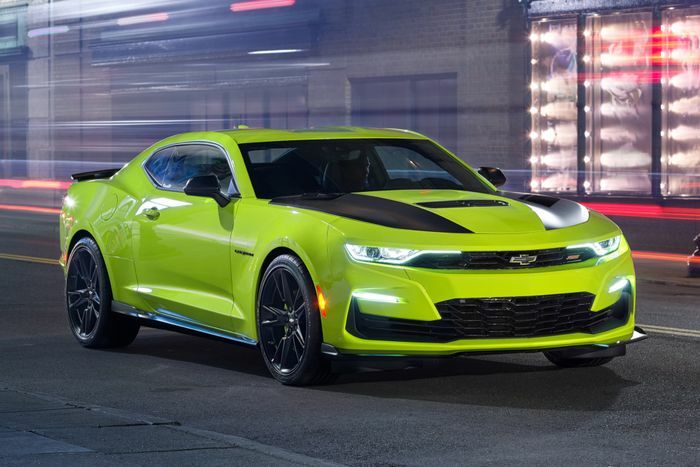 The sixth-generation pony car was given a significant facelift for the 2019 model year, but since its reveal the online response has been overwhelmingly negative. It seems that the hate has spread to buyers of the once-popular icon, too, and sales are said to be on a rapid slide. 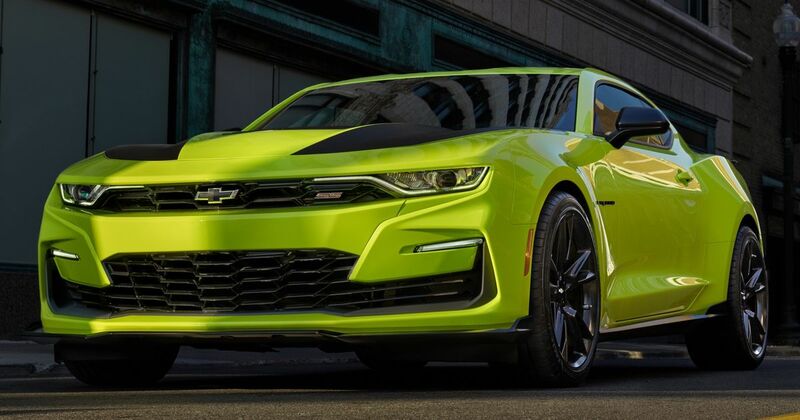 Above is the original 2019 facelift on a Camaro SS, featuring the gaping black grille and black cross-member holding a ‘floating’ bow-tie, dubbed a flowtie. At the top of this page the same picture has been altered (by Chevrolet) to show how the “concept” face will look on the car that’s due to be shown off at SEMA, starting 30 October. The bow-tie has been returned to the upper grille and the cross-member has been painted body colour to create a much smaller and neater two-part grille look. Rumour suggests that this new face will be grafted onto the production SS as soon as physically possible. Sales results will then be gauged to see if it works, at which point it could reach the rest of the Camaro range. Shock Yellow is a new colour to the range. It, too, will debut at SEMA and we can give that a hearty thumbs-up for bravery. It looks superb over the Camaro’s beefy lines, especially with the black bonnet elements, black wheels and black boot lip spoiler. 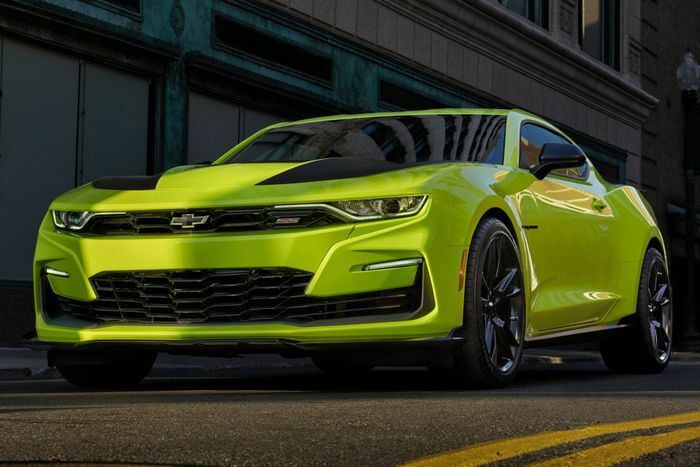 The 2019 Camaro SS has the option of GM’s new 10-speed automatic transmission, while the 2.0-litre turbo version can be specified with the 1LE track package.